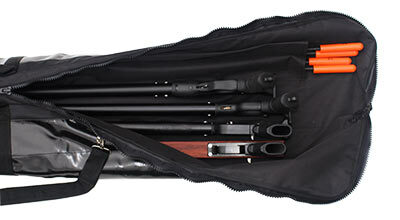 If you travel, this heavy duty padded speargun bag is for you! Pre set folds for compact storage when not in use. NOTE: When selecting your bag size, choose based on the length of your longest spear. Just made, what I consider, a large purchase. I was happy with all my gear with the exception on the heavy duty bag. 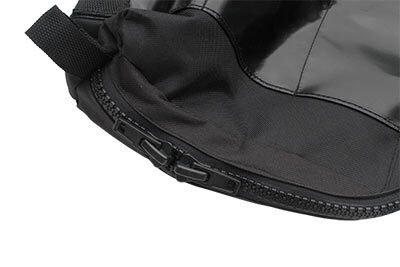 With the exception of two small slots for spears there was really nothing to the design. its basically a taco of fabric folded up and zipped close. No other compartments to house small things such a tip covers or grease for my gun. I will say however when I expressed my discontent with the product they were eager and willing to return my purchase in full. However, I ended up keeping it not only because I want to support Mako, but also need a case to house all my guns/spear, im up to 4 now. i do think the quality for price needs to be adjusted. either come down in price or up in product usefulness. The seam in the end of the bag blew before I got to the airport, but MAKO immediately sent me a new one. I think it was a manufacturing defect. I've tried to get the new one to fail similarly, but it holds. 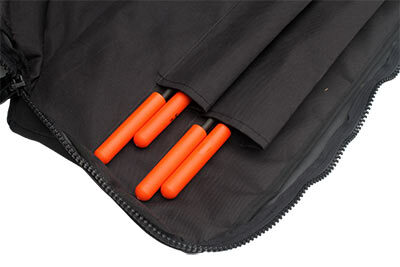 The bag is made of really heavy duty material and well-thought out with the separate sleeves for spare shafts or pole spears.